Choreographers, music directors, directors, lighting designers, and others, listen up! The Cultural Park Theatre Company is always looking for production team members for various positions. Resumes and description of experience and training are preferred via email. Please note Cultural Park Theatre is a nonprofit community theater, and all positions are volunteer based. We love new talent! And we are eager to involve artists throughout the Lee County area in our productions. Fill out our Volunteer Form and submit via email to: Michael Moran at cptcexecdirector@gmail.com or submit in person at the theater’s address. In order to perform/help out at the theater you must be a member. Of course, you can also become a member for the benefits that they receive. As a member you are entitled to discounts, and special benefits. So what are you waiting for? Become a member today! For more info call us or stop by. Fill out our Membership Form and submit via email to: Michael Moran at cptcexecdirector@gmail.com or submit in person at the theater’s address. Join in on the fun and get involved with our fundraising projects. We raise funds our scholarship programs and operating needs through out the year come help our or let us help you by attending one of our many productions. Providing the community with such artistically sophisticated productions is difficult. Many experienced people donate their time and talents to the theater company so that we can maintain this high level of excellence. However, talented and dedicated as these people are, financial support is also an integral part of community theater. 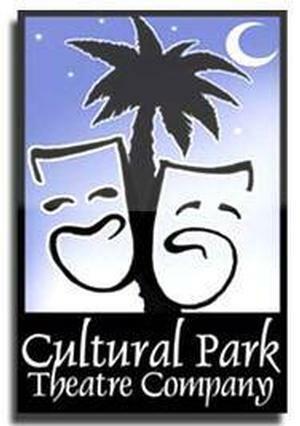 Our shows are presented at the Cultural Park Theatre, a wonderful venue, owned by the City of Cape Coral. The Cultural Park Theatre features 189 comfortable seats looking down through a 12’ by 24’ proscenium arch onto a stage which features 19 line sets for flown scenery. Comprehensive lighting and sound systems and controls are in place for all of our full-scale productions. Our corporate sponsors can count on their company name reaching all of our 15,000 plus customers each year. And of course contributions to the Cultural Park Theater Performing Arts Center are tax deductible. For the most recent information about corporate and individual sponsorship, as well as our sponsor programs, please call 239-772-5862.